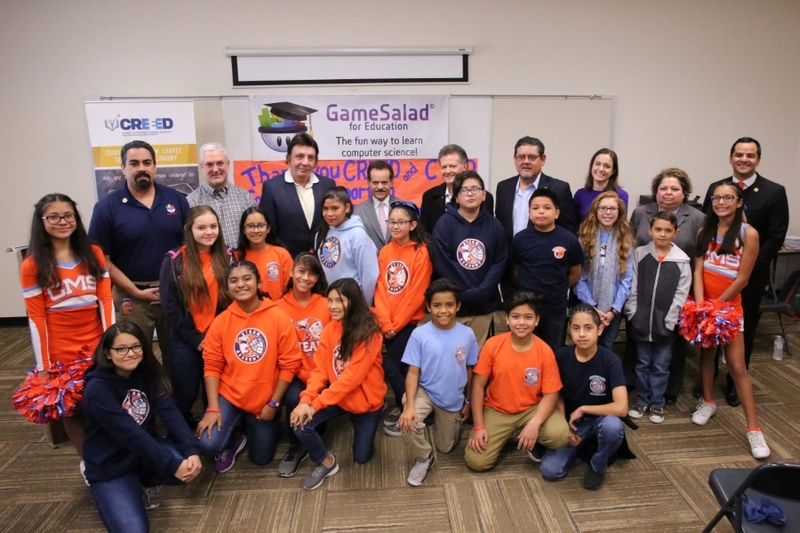 Today, Canutillo Independent School District announced a new partnership with GameSalad for Education and the Council on Regional Economic Expansion and Educational Development (CREEED) to expand computer science education to its middle school students over the next five years. Canutillo Middle School currently uses the GameSalad curriculum to introduce its 6th grade students to STEM and computer science concepts and education. After completing the GameSalad course, last year’s 6th grade cohort showed a 3% increase in combined Meets and Masters scores on the STAAR Math exam. Canutillo ISD secured a substantial grant of $42,646 from CREEED, a not-for-profit education policy and advocacy group focused on creating measurable outcomes and dedicated to closing the achievement gap for El Paso County students, which will allow them to expand this program to all its 7th and 8th grade students by the 2020-2021 school year. GameSalad for Education is a STEM education partner dedicated to engaging all students in computer science by empowering them to design, program, and create their own professional grade mobile games. Exponential growth of jobs in the technology sector relative to the number of qualified candidates has created a need for rapid advances in STEM education in the United States. Studies project that by 2020 there will be 1 million more jobs in computer science than U.S. computer science students. Innovation is outpacing the skills & knowledge we are transferring to our nation’s students.